By misterslots|Casinos|Be the first to comment! It is estimated that up to 10% of online casino players have visited a forum or have joined one. So what are so special about these casino forums? 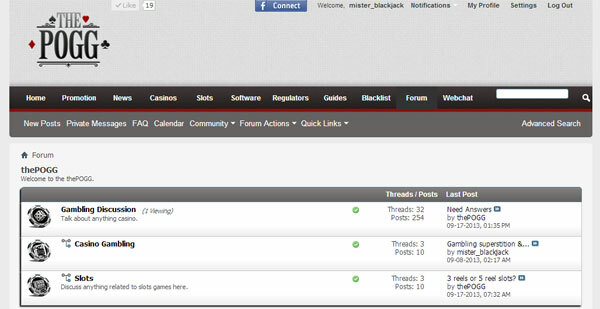 Casino forums are a means to keep online casinos in check. That is if they screw up or try to treat a player unfairly. Casino forums keep these casinos very accountable as what they say becomes a permanent statement and if they are not fair to any player, then one can expect that information to go public on a forum where other readers can see. Which casino forum to choose? It’s best to match a casino forum with a community that you like. You can join and see how welcoming some of the other members are. Just be very cautious that some communities have some less than friendly regulars and they can be extremely rude when dealing with newbies. We won’t name the names of the forums where you’ll find these unfortunate encounters but thankfully these are few and far in between. Spend your time lurking the forums to see which ones have new information being posted and which ones seem to be a bit more helpful. If you join a forum you can expect to receive newsletters. Sometimes these can be a little too much but if you are the type of casino player that loves value, keep your eyes open for special deals and exclusive bonuses that might come along your way. The best forum doesn’t have to be the largest. There are some really big casino forums out there including Latest Casino Bonuses, AskGamblers, Casinomeister to name a few. These might be the 3 largest ever. Latestcasinobonuses is the largest casino forum on the internet. Casinomeister used to be the largest until latestcasinobonuses took over. Casinomeister has been online for maybe 15 years however they have some senior members that seem to belittle new users. Askgamblers is still growing but has the best moderator. Thepogg is smaller but is growing and has useful information provided by the moderators. Signs of a good forum include little to no spam, don’t go to a forum that’s ruled by spambots. Also if abusive members are blocked or have their comments edited shows that the moderators do care. Try messaging the moderator and see if they take the time to listen to you. A good moderator will reply and some forums have inactive mods or ones that really don’t care as if it is a job they don’t like. Find a place where everyone is super friendly and super helpful. Bonus points for a forum if that forum gets exclusive bonuses for their players. It is also nice to have other aspects of online gambling covered like betting, poker, bingo and lottery. A good forum will welcome new users and encourage them to ask new questions and be helpful to those users too.